This photo shows the lowered mast resting in the forquilha and the boom on the brace. This is their normal position when the jangada is anchored. 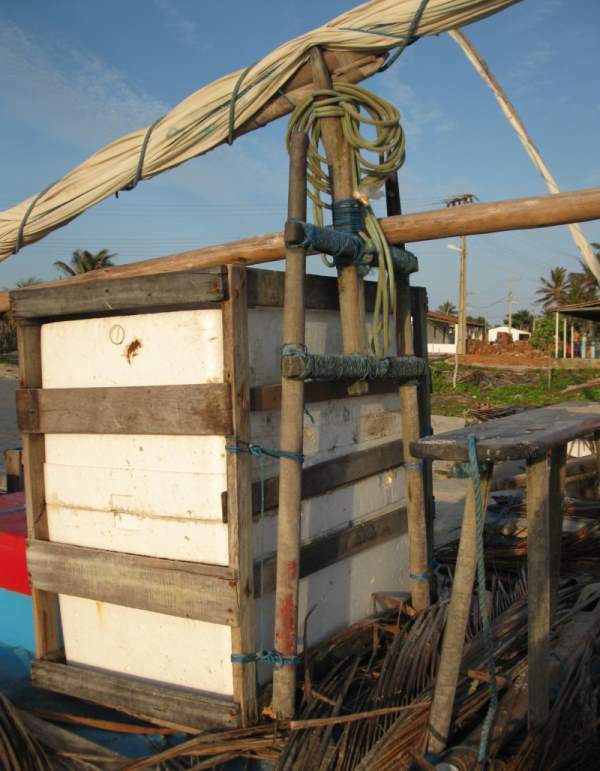 The icebox frame is tied to the forward side of the espeque to keep it in place.